DRESDEN IS CLOSE TO QUEEN’S PARK LONGTON AND LONGTON TOWN CENTRE. IT HAS GOOD LINKS WITH M6 and East/West Links to M1 via the nearby A50. 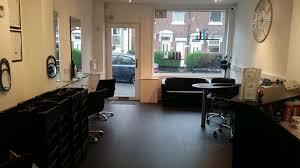 An old photo before premises renovated and conversion to a hairdressers and beauty salon. Popular public house in Carlisle Street just a few hundred metres away. Queens Park Dresden. The “top” gates situated at the very top of Carlisle Street Dresden about 400 metres away from the premises for sale. On land donated by the Duke of Sutherland many years ago, this floral Park has two lakes , a clock tower and beautiful walks. ideal for joggers. The clock tower near the top gates. The old boating lake near to the A5025 Longton to Trentham road, your link to the M6., North and South and the A500 for the East and West. The old Park Wardens cottage on the A5025 near to the Cenotaph in Queens Park Avenue. The Cenotaph, at the bottom of Queens Park Avenue , on the A5025. Longton town centre is only around half a mile’s short walk away with a 24 hour Tesco superstore and a large choice of shops. Dresden has a choice of the usual take-aways and a Superb “Rare” Steak House just a few doors away. IMPORTANT. NEXT SEE “THE FLAT ABOVE THE SALON” BELOW. Former Beauty Salon and Flat for Sale Blog at WordPress.com.